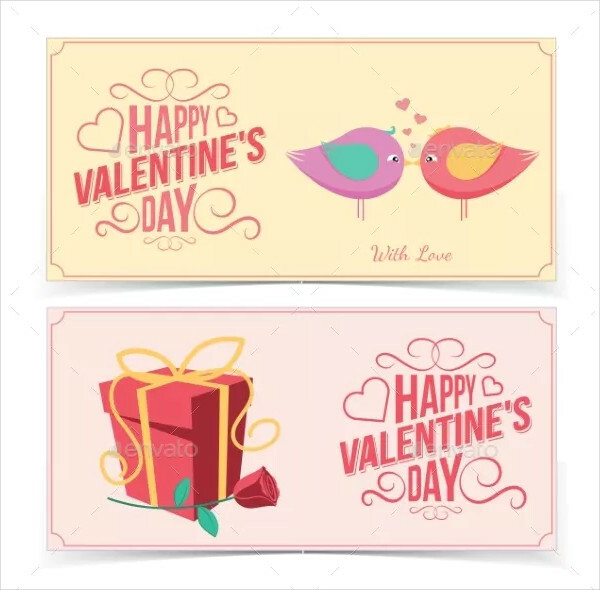 Many people anticipate the coming of Valentine’s Day as this is the day where people get to express their love and also spend time with the ones they love. People get excited to receive various gifts such as food, flowers, and cards. Valentine’s Day is basically a “day of hearts”, a day where many people look forward to events and activities where they can spend time with their loved ones. Be reminded that Valentine’s Day is not just for couples but for loved ones in general. Loved ones do not necessarily mean your partner or spouse; this can also mean family, friends, and even acquaintances. Love comes in many forms, for example: verbal, hugs, kisses, gifts, chocolates, flowers, and time among others. But no matter how much you express your love to someone, it is still the same love that grows bigger and bigger the more you give it away. You may also see love greeting cards. 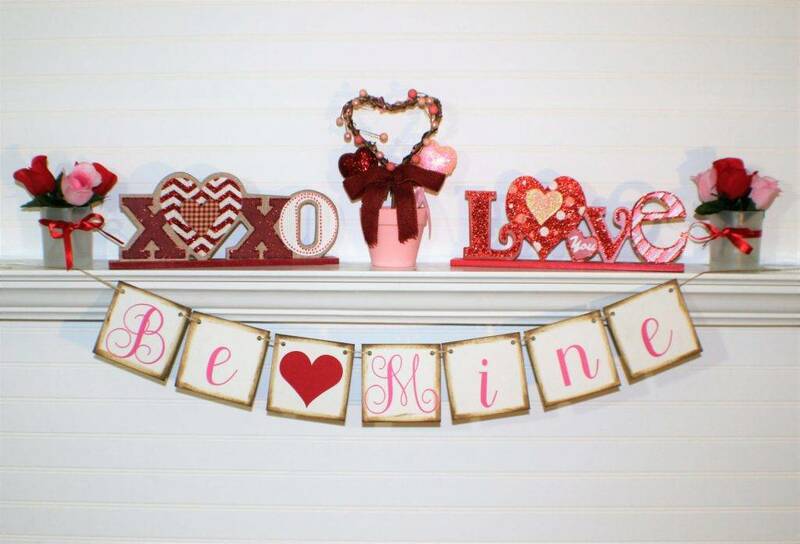 During Valentine’s Day, different perks can be seen in stores, mall, shops, and marketplaces where we get to see a lot of Valentine’s related items and souvenirs. While looking at these things, there is this feeling of “love being in the air” and a mood of happiness and joy around it. And, if you haven’t noticed, streets and buildings are crowded with Valentine’s decorations and designs. One of the decorations you can see is a banner. A banner is not merely and solely used as a design on the streets and malls; it also serves as a promotional material especially for events and occasions. 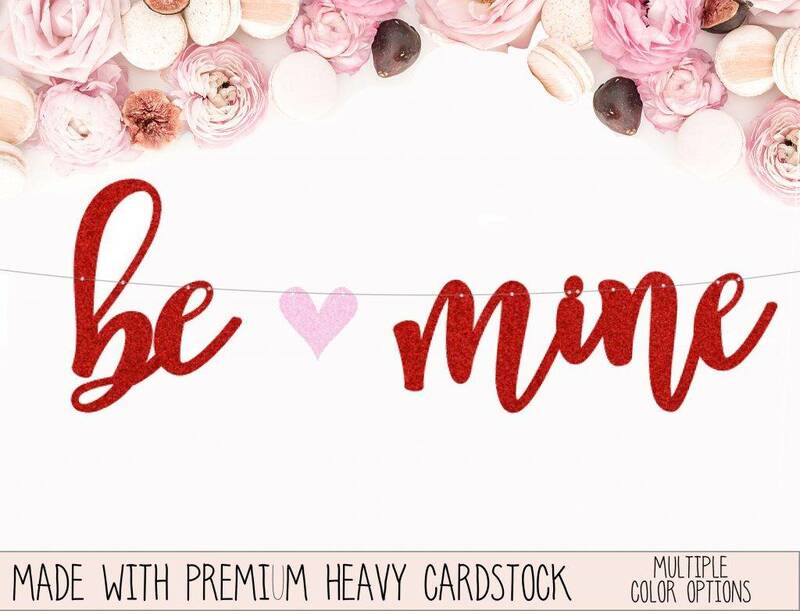 You may also see romantic greeting cards. 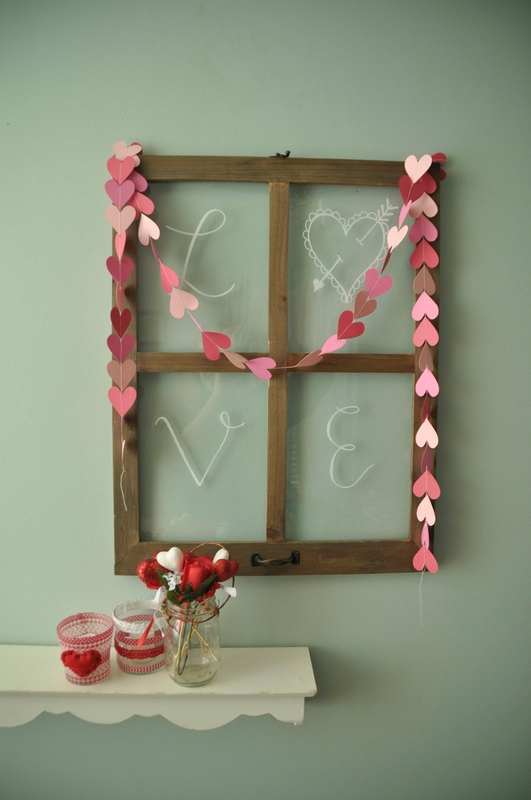 Banners are especially useful to give the environment Valentine’s Day feeling. The banners must be eye-catching enough so people will read them. They must also contain complete information about the event that you will be holding. Some of the vital information includes the event name, short description of the event, time, venue, and date. 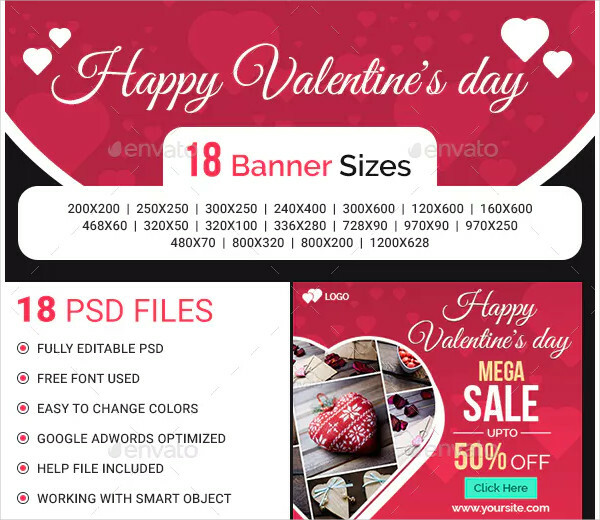 To help you with your design, here are some examples of Valentine’s Day banners. You may also see wedding greeting cards. Now, let’s talk about banners— not those banners which can be seen online but the banners hanging in the streets used to relay information and also for advertisement and promotion purposes. We can see them in every corner and almost anywhere in public. Of course, if you want many people to recognize your banner, you must place them in an area that is accessible by many and, as much as possible, near to your target market. As previously mentioned, promotional material must be eye-catching and must allure people to read them. Your banner cannot serve its purpose if the design and layout is not a head-turner. 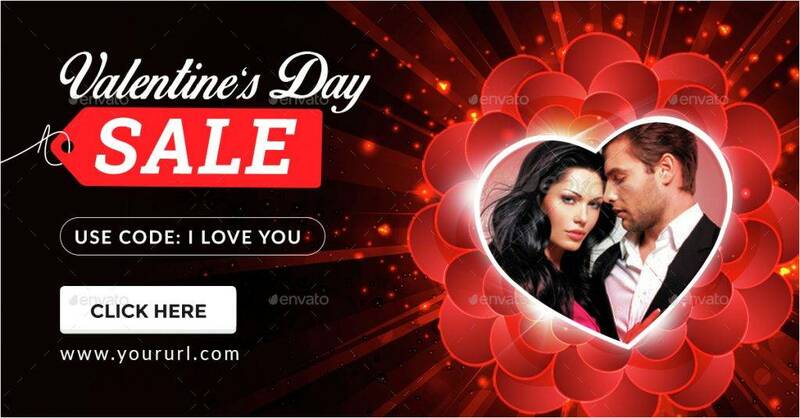 Thus, many marketers hire a layout designer to help them with their banner designs. Also, to help you minimize your expenses, we are providing banner examples and designs, as seen above. Banners may come in different types depending on the material that is used to make such banner. Know that there are banners suitable for indoors or for outdoors. Different types of banners also contain different types of materials that may or may not be suitable for a certain kind of whether or area you want to place them. Some banners are wind resistant while some are not. Some can withstand heavy rains and storms while some should only be hung indoors where the mother nature could not harm them. To discuss this further, different examples of banners are listed as follows: You may also see roll-up banner designs. If you are using the banner for just a couple of days, you might try using poly banners. This is less costly than other types of banners, but the quality may also be lower. This is not intended for open areas in which the wind is blowing heavily and rain may pour at any time. Graphics-wise, poly banners offer a great surface that makes the printing look clean and smooth. However, you must not rely on their durability since they are not intended to be used for a long time. You may also see vertical banner examples. The fabric in a mesh banner is designed like a mesh; crisscrossed that allows the air to pass through. The tiny holes in this type of banner make it more pleasing and visually attractive. Rather than creating slits for air to pass through, this type of banner need not be slashed for the holes are already enough. Moreover, the quality is not sacrificed. Thus, these banners are intended for outdoors since they are wind resistant and their quality is more than enough to sustain winds and rains. So, if you are planning to have an advertisement outdoors, the mesh banner is perfect for you. Among the famous types of banners are the vinyl banners. They are said to be the most versatile type among the banners because they are lightweight, durable, and very easy to install. Aside from that, the cost in printing vinyl banners are typically lower than other types of banners. The materials are also cheaper compared to others. If you need a banner that will endure and last for weeks and months, then this is your best bet. The banners that you usually see in the streets in regards to a company promotion or holiday event is usually made using vinyl banners. Marketers also prefer these banners since the printing is easy, cheap, and many printing companies offer to print on vinyl surfaces. You may also see roll up banner examples. If you are looking for a more quality look compared to vinyl banners, you can also opt for fabric banners. However, they are not really conducive outdoors since they are not water resistant. No matter how high your printing quality may be, if it is printed on fabric, there are possibilities that the graphics may be worn out or the printing may fade. Thus, to prevent this from happening, fabric banners are advised to be placed indoors where weather elements such as rain and storm cannot reach them. On its positive side, because fabrics absorb the ink during printing, this makes the ink to appear more vibrant, making them more visually pleasing. There are also two types of fabrics that you can choose: fabric soft and satin fabric. Fabric soft is more common than the satin fabric. It is also less expensive compared to satin fabric. On the other hand, the satin fabric has a glossy finish making it appear more classy and luxurious. 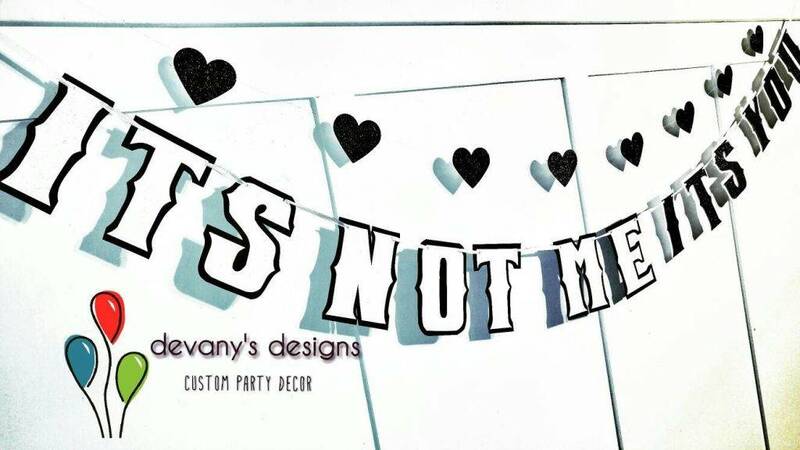 You may also see printable banner examples. Canvas banners, as the name itself suggests, is made up of canvas cloth. Take note that canvas cloth comes in different thickness levels, and it is up to you on how thick would you want your banner to be. You might be thinking that canvas banners are thick making them appear durable; however, they cannot resist resisting heavy rains and strong winds. Thus, they are just typically used indoors. Canvas banners are typically used for backdrops and commonly finished with sewn hems. You may also see vertical banner samples. 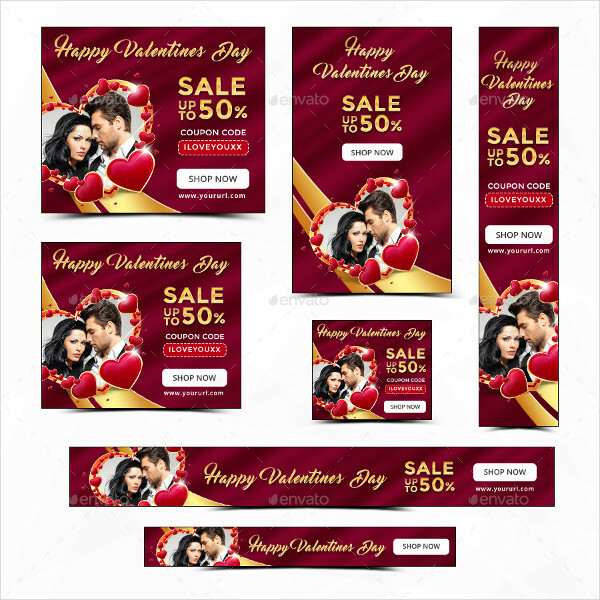 In general, no matter which type of banner you will use, always consider the external elements that might affect your banner. No matter how expensive or cheap your banner may be, it all depends on where you will place such banners. Also to give enhancements, remember to design your banner well and give it a professional layout to make it more elegant. You may also see company banner examples. 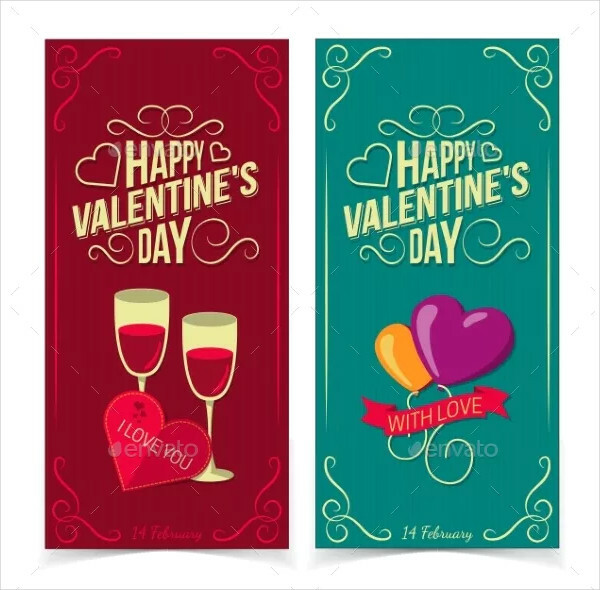 To promote your Valentine’s activity or event, Valentine’s Day banner can surely help, especially when placed in areas conducive to people. You can use different types of banners depending on the materials used. The above discussion also gives you tips on where a certain type of banner can be perfectly used based on the area where the banner will be placed as well as its purpose. 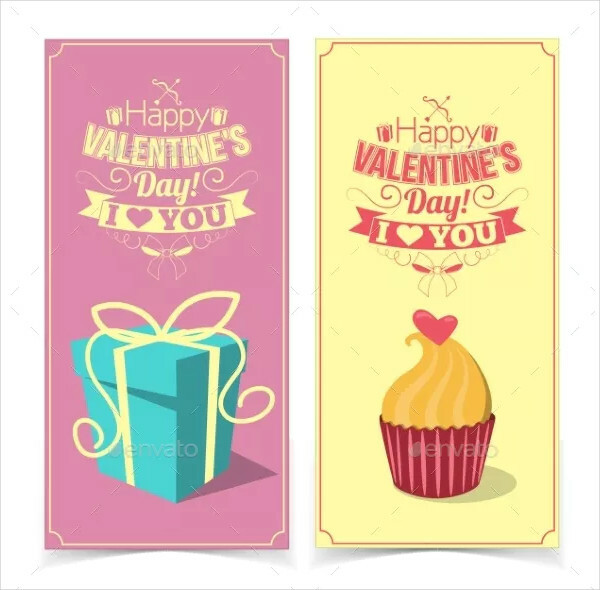 Equipped with knowledge regarding banners, you can now choose what type of banner you will use for your Valentine’s event. 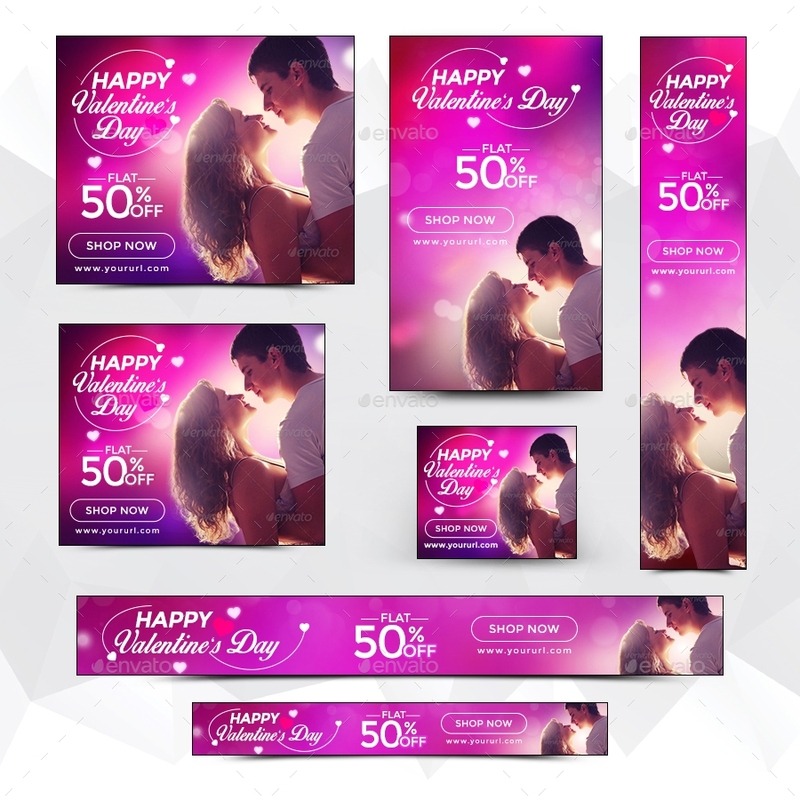 Banners, on their part, will help you in advertisement, promotion, design, decoration, or to simply inform people that love is truly in the air! You may also see advertising banner designs.